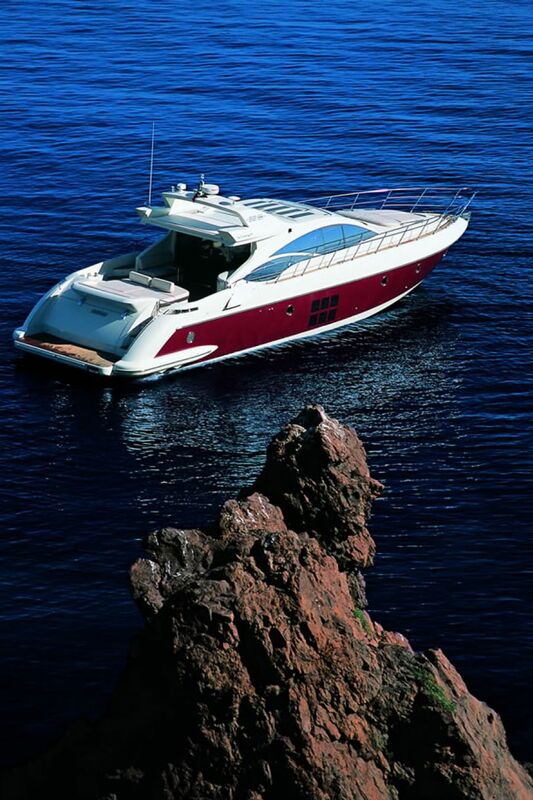 M/Y MINX is an Azimut 68S motor yacht of 21 m (68' 10") in length which is available for charters in the French Riviera and western Mediterranean. 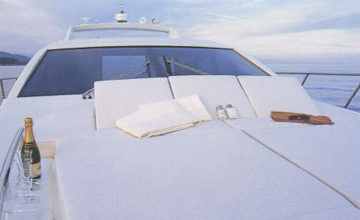 Motor yacht MINX is able to accommodate 6 guest in 3 cabins for luxury yacht charters. 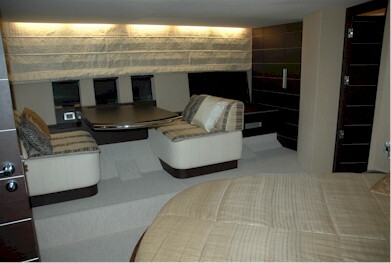 and a twin cabin with ensuite shower room. 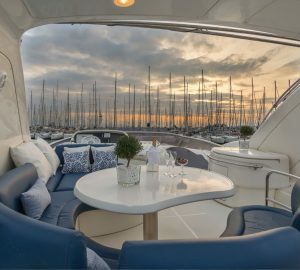 The Azimut 68S motor yacht presents new open style yacht with dual purpose areas in which to enjoy the ocean, but with the same privacy and comfort offered by a flybridge yacht. 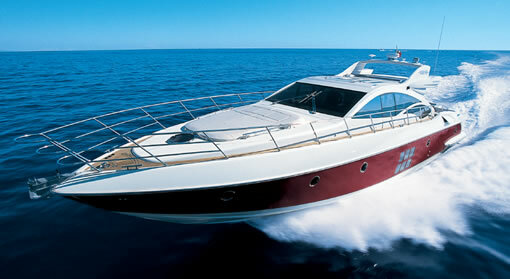 MINX the Azimut 68S has an innovative main saloon which is laid out on the yacht’s main deck. 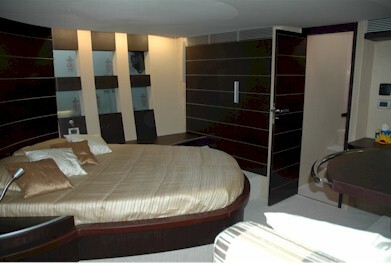 This frees up the lower deck for accommodation area. 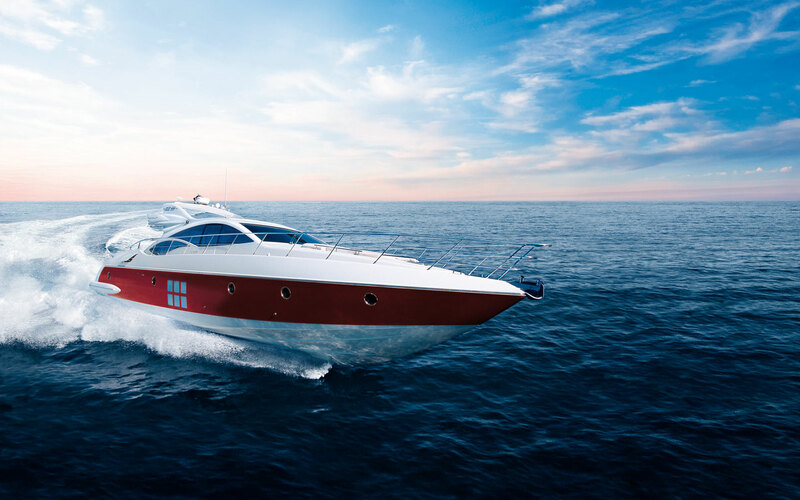 The AZIMUT 68S has a distinctly sporty feel at the helm, thanks to a responsive, instinctive steering system and a hull designed for maximum performance. 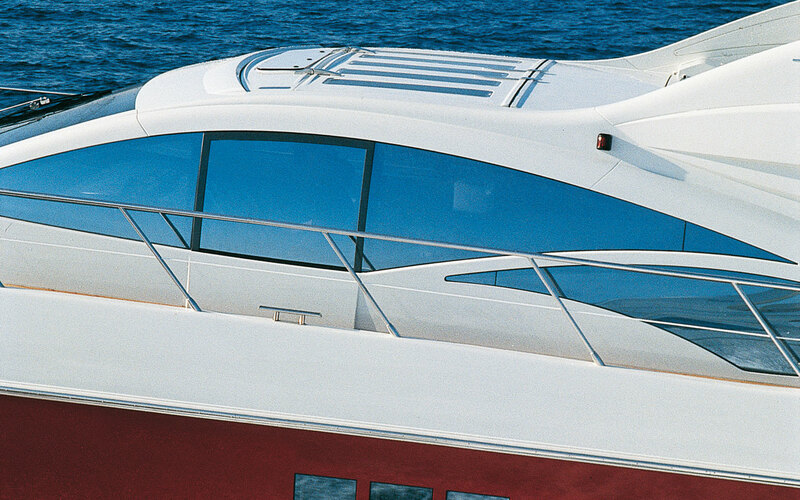 The folding hard top with rigid section opening mechanism allows the guests 65 sq. feet of open sky in less than ten seconds. 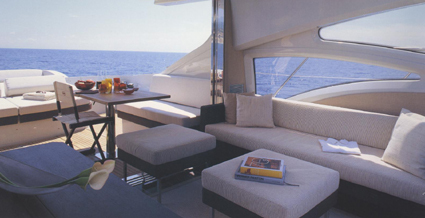 Minimalist furnishings, Indian silk, steel, glass and fine wengé wood, every detail has been designed to make your stay on board as comfortable and private as possible.